You may have noticed, my blogging has slowed down. Why? No real reason, to be honest, apart from the fact that I’m lazy and right now I’d rather consume the culture (be it films, TV, or books) than write content about it. I go through phases, my blogging mojo will undoubtedly (read: hopefully) pick back up again soon but, for now, I thought I would mention a few things I’m currently reading and watching, in case anyone is curious or looking for something new to try! 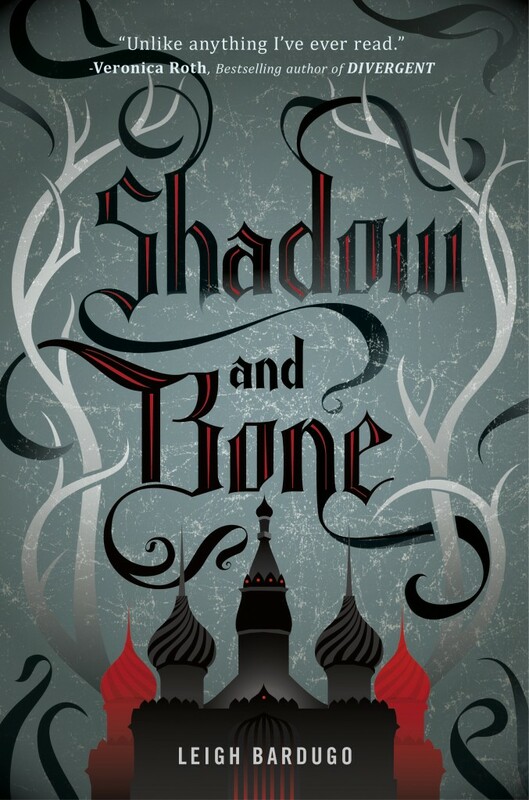 In November, I read quite a fair bit (my monthly wrap-up will follow shortly) and I’ve recently finished (re)reading The Grisha trilogy by Leigh Bardugo, which consists of Shadow and Bone, Siege and Storm, and Ruin and Rising. Since I read and adored Six of Crows/Crooked Kingdom, I knew I wanted to re-read the original Grisha trilogy to revisit the world of Ravka and see if reading the later duology enhanced the reading experience of the first trilogy and so on. I’m happy to report that it did, a lot, in fact, and I really enjoyed my re-read of the series. Book two, Siege and Storm still remains my favourite because of reasons (cough Nikolai cough) but I ended up enjoying the whole thing a lot more than I did the first time I read it. In fact, I find Alina less unbearable of a narrator now, and I don’t hate Mal himself nearly as much as I did on my first read (I still hate the ship, though). My love for the Darkling endures, naturally. 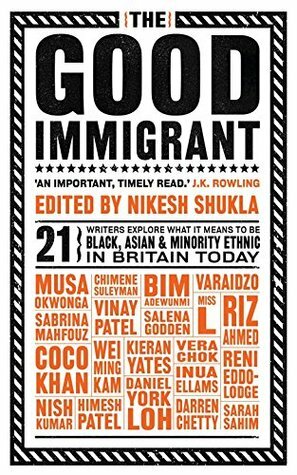 Aside from that, I’m currently also reading The Good Immigrant, edited by Nikesh Shukla, which is a collection of essays written by British BAME authors about what it’s like to be an immigrant in the UK today. It’s extremely well-written and informative, as well as humorous in parts, in a wry sort of way that makes you realise just how ridiculous some of the negative discourse surrounding immigration actually is. I’m currently about two thirds of the way through it so I’ll likely try to finish that tonight – it just missed out on my November Wrap Up but it will easily be finished off in the first week of December. Review pending, I’m sure, but for now, I can just say that I would highly recommend it to everyone! Having heard that Matthew Goode was joining Season 2, I decided I needed to prioritise watching this (yep, I’m that easily led). I always kind of wanted to watch it anyway but this piece of casting was the final straw. I’m halfway through season 1 and I’m loving it. Claire Foy’s portrayal of Elizabeth is wonderful and her impression of her voice is SPOT ON. I know that, without a doubt, I am being incredibly manipulated into hating certain characters and, as the story is about actual people, the outcome of every dramatic plot point is kind of a foregone conclusion but even so I love it. I do so like a bit of posh, royalist drama to be honest, and this one is particularly well written, well acted, and well shot. Since the new series (series 4) started recently, I thought I should finally catch up with Peaky Blinders. And by “catch up” I mean see episodes further than just series 1. I’ve been doing that, with much enjoyment and it has sported a new phrase to enter my lexicon, namely an approximation of Tom Hardy saying “fackin’ ‘ell” in an exaggerated Cockney accent. I also now have great love for Aunt Polly and John Shelby. Tommy Shelby is golden as always. I gladly look forward to watching it as it airs once I’ve caught up on those last few episodes I have left. I don’t quite know how to explain the appeal of Taskmaster, even though its premise is very simple. Comedian Greg Davies (owner of one of the best stories ever shared on Graham Norton Show) and his assistant Alex Horne set tasks for a group of presenters, actors, and comedians to complete. The tasks often seem simple but involve a set of rules which they must follow, some simple and some just barmy. The point is that you’re meant to use common sense, ingenuity, and resourcefulness to complete the tasks in the best and most creative way. It’s little surprise to discover that some contestants are better than others and some are just shockingly bad. It’s hilarious and, to be honest, I can understand why, based on that premise alone, you might think it’s not worthwhile (see also: Gogglebox) BUT I promise it’s so much fun and you’d be hooked after one episode. That’s it, folks, those are the things that I’ve been reading, watching, and enjoying lately. Have you read any of these books or seen any of these TV shows? Did you enjoy them too? Do you have any recommendations of similar books and/or shows based on what I’m currently reading/watching? Do be sure to leave them in the comments below, if so, because I love collecting recommendations!